Despite their similar-sounding titles, health care managers and health care administrators each have a range of unique professional responsibilities and priorities. Most notably, health care managers typically have visible, high-level roles in steering the business operations of their organizations. On the other hand, health care administrators often have more narrowly focused, yet equally important, duties involving a greater degree of personal interaction with department leaders and other employees. Learning about the similarities and differences between health care management and health care administration can be the first step toward a career in one of these high-growth professions. Before delving into the differences between health care management and administration, it is important to understand that there are some similarities between the two career paths. Both positions are ideal for professionals who have a dual interest in health and business, as they each require excellent management skills. Managers and administrators are leaders within their organizations, meaning they must be strong decision-makers and communicators. They both typically play a role in ensuring that their organizations are compliant with continually changing regulations. Analytical and technical skills are now essential at all levels of health care leadership as providers increasingly incorporate technology and data science into their operations. .
Health care managers and health care administrators both must be conversant with fundamental medical concepts and terminology. They should be able to discuss what goes on in the health care facilities they work for, whether they are talking with physicians or contacts at external organizations. 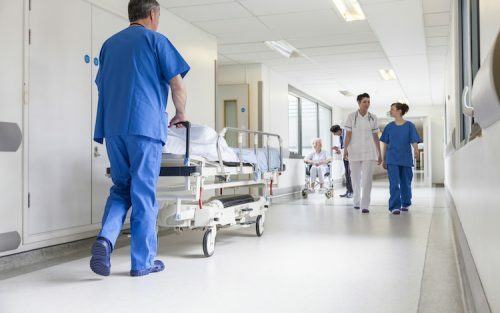 It is also imperative that those in management and those in administration have a deep understanding of how health care facilities operate, including the details of how they treat patients, organize data, and handle financial matters. Other similarities between the two fields lie in their education requirements and projected job growth. Organizations that hire health managers and health administrators require applicants to have at least a bachelor’s degree, and many employers prefer candidates who have a graduate degree, such as a Master of Health Administration (MHA). Professionals looking to enter either field typically study subjects related to both business and health care, and previous work experience in either of those sectors is valuable for future job prospects. The employment outlook for health care managers and administrators is favorable, and professionals in both positions are benefiting from high employer demand, the potential for higher pay, and opportunities for career advancement. The Bureau of Labor Statistics (BLS) expects the number of jobs within these occupations to grow 20 percent from 2016 to 2026, compared with a 7 percent growth rate for all industries. The median salary for professionals in these fields is about $98,000 per year. When considering the differences in health care management vs. health care administration, the biggest differentiator is the main mission of each role. Though there are many overlapping duties, managers focus on the broader business functions of health services organizations, while administrators focus on supporting the needs of the employees. This distinction means that these roles involve different approaches to carrying out responsibilities such as improving productivity; coordinating work activities; overseeing finances; and recruiting, developing, and retaining staff. Health care managers view employee performance from a business perspective. They analyze the efficiency of departments’ daily activities and look for opportunities to make improvements that maximize profits. This is an important part of keeping a health care system financially healthy and able to operate with the best employees and equipment. On the other hand, administrators work more directly with the employees and coach them to maximize their performance. This shifts the focus from the needs of the health care facility as a whole to the more personalized needs of the staff. Administrators’ duties can include working out everyday issues and solving human resource problems as they arise. Managers and administrators also take different approaches to recruiting and retaining employees. Health care managers generally focus on the financial impacts of personnel turnover, overall job satisfaction, and training program costs. Meanwhile, administrators tend to work more directly with individual employees to create and coordinate training and retention initiatives based on the unique needs of each department. .
Health care administrators and managers also oversee different aspects of their organizations’ finances. Managers evaluate big-picture budgetary issues, such as analyzing the financial statements of an entire hospital, while administrators often take a more granular approach in reviewing individual department and office budgets. In keeping with their broader organization-wide responsibilities, health care managers oversee the highest-level aspects of how their facilities operate. For example, they may be involved in creating and updating policies that apply to all employees at the organization. Health care administrators shape the finer details of workplace logistics, within the parameters laid out by management. For instance, they might be responsible for coordinating employee shift schedules to maximize efficiency in each department they oversee.t. Though health care management and health care administration share some similarities, a more nuanced look at the responsibilities of these fields reveals their subtle but important differences. A Master of Health Administration program provides a strong foundation for those seeking either type of leadership role, whether they are more interested in guiding an organization’s high-level vision or mastering the finer details of its operations. Graduates of Regis College’s online Master of Health Administration program are equipped with the skills to become successful leaders in a variety of health professions. Find more details about courses and future career options on Regis’ MHA program website.